For Better - Or What? : Your Marriage on TV? 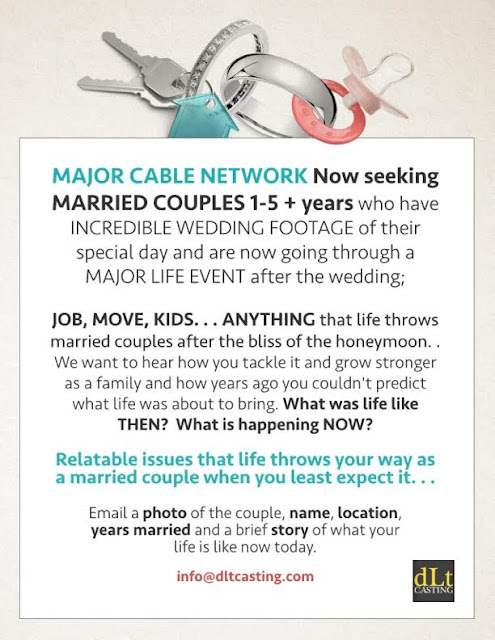 I was contacted by someone from dLt Casting regarding their search for married couples for a potential TV show. Note that I'm not connected to this company in any way, and I don't know anything about the project other than what the flyer says. I'm posting it here in case any of my readers are interested.